The glamorous look of the Trill Collection allows inner diva to shine. Silver textured vinyl is accented with nailhead and crystal button tufting while modern traditional lines create a classic profile for your bedroom. 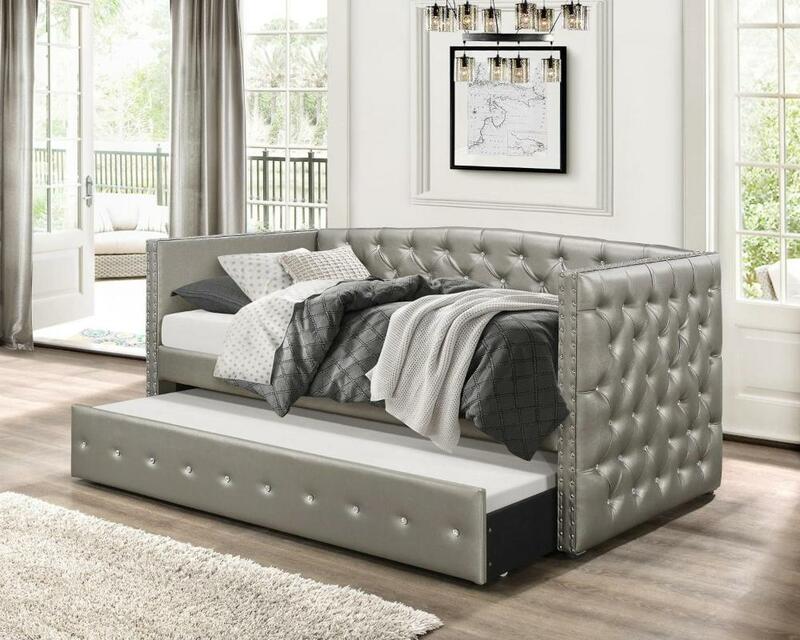 Whether used for sleeping or relaxing, the daybed's design allows for placement in a number of room sizes and configurations, while the under-bed trundle pulls out to accommodate your additional sleep space needs. FEATURES: Silver Finish ~ Modern / Traditional Style ~ Crystal Button Tufting Stitching / Nailhead Accents ~ Bi-Cast Vinyl Cover.